Today: Make your own sumac vodka—and then sprinkle the spice on top of your cocktails. This article is brought to you by Ten Speed Press. Head here to pick up a copy of NOPI. Sumac sounds like something you might not want to mix into your martini, especially if you grew up in the eastern United States. But the sumac you cook with (and the one you'll want to drink with) is, thankfully, not the poisonous leaf feared by American children, but a central spice in Middle Eastern cooking, used as liberally as salt and pepper. According to Yotam Ottolenghi, acclaimed restaurateur and author of several of our favorite cookbooks—including Jerusalem and Plenty—sumac's lemony, salty taste is a wonderful tart foil to other flavors (especially of the boozy kind). 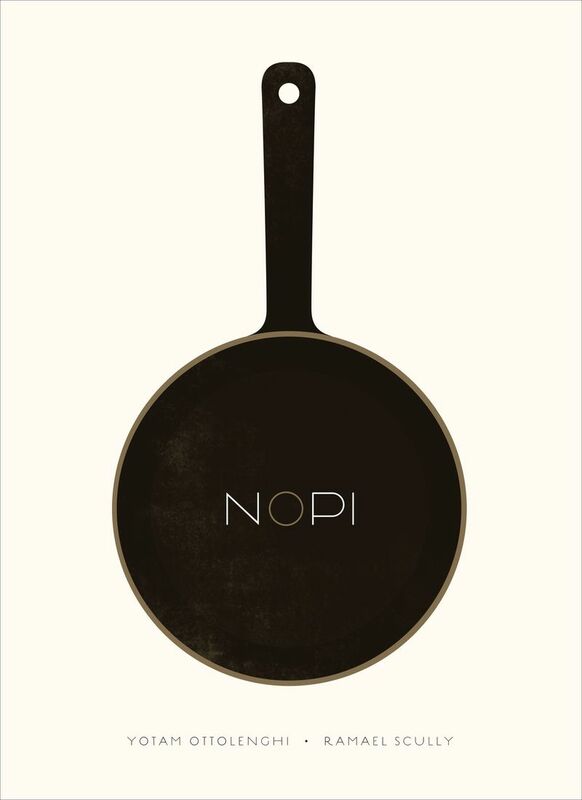 And in NOPI, Yotam’s latest book written with the restaurant's head chef Ramael Scully, sumac isn’t relegated to just the food. Lucky for those of us not only interested in eating with spice, but drinking with it too, the two chefs and head bartender Lukasz Rafacz have married NOPI's kitchen with its bar by incorporating ingredients that are generally relegated for cooking (and that need using up), in cocktails. “A lot of the syrups—the saffron syrup, the jalapeño agave—started off in the kitchen and then inspired something behind the bar,” Yotam says. And sumac was a natural choice for a crossover, given its strong presence in Middle Eastern, and NOPI's, recipes. “Obtaining flavor from the sumac was not so easy: We tried to make a syrup out of it, but neither the taste nor texture was quite right. Vodka has a neutral flavor, so it’s receptive to being infused with one concentrated flavor,” Yotam explains. It’s also sometimes seen giving mezcal, or gin, a boost—but really a sprinkle of it in any drink will add some astringency, some acid. “Sumac really wakes up the palate,” Yotam says. 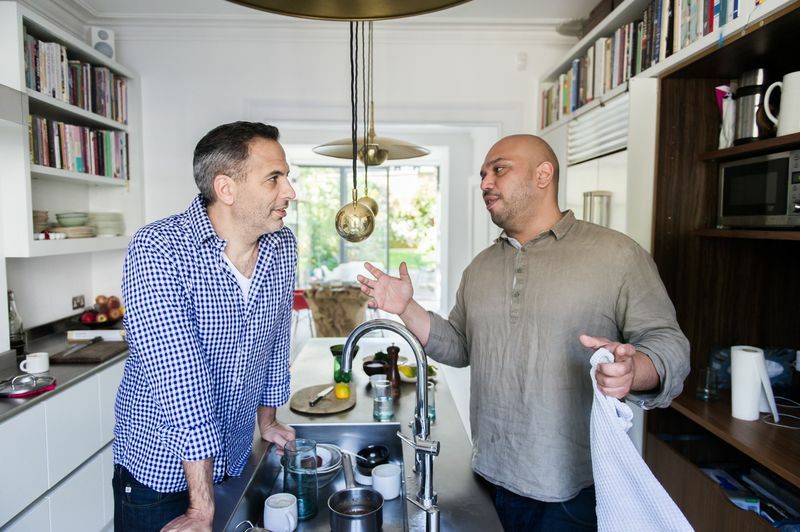 Yotam Ottolenghi and Ramael Scully in Yotam's kitchen in Camden. The sumac vodka that NOPI makes for its sumac martini has a lot of leftovers. While you can half, or even third, the recipe, you’d be wise to make it all for more experimentation. “It’s an ingredient that makes the most sense not on its own, but when combined with other things,” Yotam says. All you need, he says, is some juice and a sour component to make a full drink. There are really no boundaries, Yotam says, for infusing spirits with spices. “Our bartenders are using Szechuan peppercorns, pink peppercorns, cassia bark, cardamom, sage, cloves, saffron, coriander seeds, and star anise, just to mention a few,” he mentions. 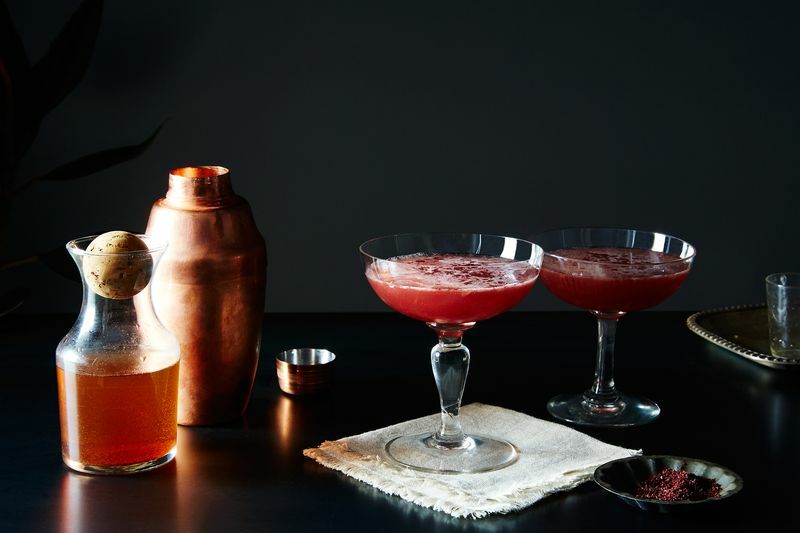 Which is to say: Start your adventures in infusing with this sumac vodka—but don't stop there. Get the full recipe (and print and save it) here. Reprinted with permission from NOPI by Yotam Ottolenghi and Ramael Scully (Ten Speed Press, 2015). This article is brought to you by Ten Speed Press. Head here to pick up a copy of NOPI. Where'd you get that first coupe glass? It's gorgeous! This looks like a fantastic halloween-I've made my own halloween-drink last year. It was really delicious and easy to make.